Lasithi (Greek: Λασίθι) is the easternmost regional unit on the island of Crete, to the east of Heraklion. 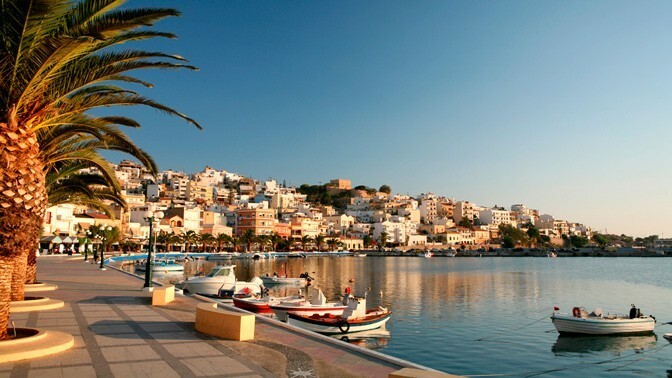 Its capital is Agios Nikolaos, the other major towns being Ierapetra, Sitia and Neapoli. The mountains include the Dikti in the west and the Thrypti in the east. The Sea of Crete lies to the north and the Libyan Sea to the south. To the east of the village of Elounda lies the island of Spinalonga, formerly a Venetian fortress and a leper colony. On the foot of Mount Dikti lies the Lasithi Plateau, famous for its windmills. Vai is well known for its datepalm forest. Thanks to stunning beaches and its mild climate year-long, Lasithi attracts many tourists. Mass tourism is served by places like Vai, Agios Nikolaos and the island of Chrissi. More off-beat tourism can be found in villages on the south coast like Myrtos, Makrys Gialos or Makrigialos, Xerokambos and Koutsouras. Lasithi is home to a number of ancient remains. Vasiliki, Fournou Korifi, Pyrgos, Zakros and Gournia are ruins of Minoan date, Lato andItanos were Doric towns.